Digging into the deep corners of my Self, befriending my Shadow, finding my courage, and living an Authentic, In-spired life – these are my personal obsessions. Walking with and guiding others is my Vocation. Önd is an old Northern Germanic word for meaning Life Force or Vital Energy. It is similar to the words Qi, Chi, and Prana, and is related to Odin, the Norse god of Inspiration. I believe that human beings want to do more than survive. We want to Thrive. We want to, but oh-so-many-things can hold us back. Layers of old fears, resentments, and regrets – generational, familial, and societal – and habit patterns of thinking, feeling, and behaving get in the way. It becomes difficult to see, let alone grow, a different, bigger way of Being. Becoming conscious is the first step on the journey toward Authentic, In-spired living. Where have you been? What do you really, truly, deeply want? What is holding you back? Sink in, breathe, look without judgment, and start moving forward based on your truest values. It’s pretty straight-forward, really. It is also oh-so-challenging. Moving outside your comfort zone can feel very scary and is often a lonely business. That’s where a coach comes in. That’s where I come in. I have been on this road for a long time, both personally and professionally. I know the landmarks, and I know many of the hazards. I am a guide, a witness, and a cheerleader. If you feel a deep buzz inside of you that says “Change;” if you know there is more to life than what you are living; if you are simply tired of the same patterns running over and over again; and if you are ready to invest in yourself and your amazing life, I would love to work with you. Tara has spent her entire adult life either running away or running toward her Self. That’s her truth. She has struggled with depression and anxiety, used alcohol and food to feel less, and repeatedly sabotaged her own forward motion with procrastination and quitting-before-she’s done. 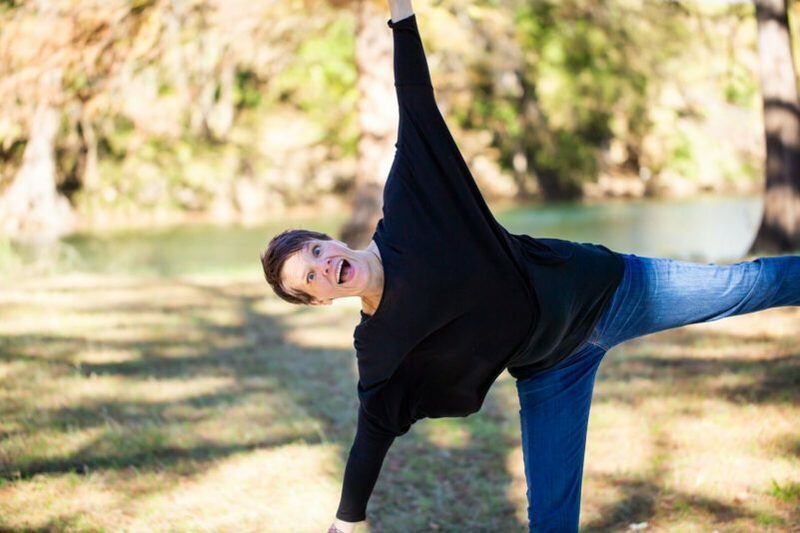 Tara has also lived a vibrant life jumping into courage and earning her Doctorate and becoming a certified yoga teacher, breathwork healer, hoopdance teacher and life coach, a dancer, artist and performer all after she turned 40. She has not conquered Fear but has learned to see it with compassion and gently move it aside. Her motto is, “Courage is action in the face of Fear,” and her desire to live a Big Life is greater than her desire to hide under the bed feeding her Fear donuts and Nestle Quick. Tara has experience working in mental health, addictions, and coaching since 2002. She holds a Master of Science in Counseling Psychology and a PhD in Counseling Studies. Tara’s approach is honest, direct, and compassionate. She is no blank slate. She brings her authentic self into every session and believes that authentic, deep relationships are critical for healing and growth. A good sense of humor is important too! Currently, Tara is diving into learning how to illustrate children’s books, writing a semi-fiction novel based on her Mom’s life, becoming an improviser, and setting up plans to be a nomad beginning in the fall of 2019. In the midst of all that, she snuggles her two senior dogs, Sofia and Ginger.